Here we go! The Bridge Run is nearly here. 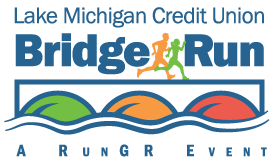 This popular race winds through historic neighborhoods and across iconic bridges in central downtown GR. Choose from among 10 mile and 5K runs, with divisions for adults, kids and 5K walkers. And as a LMCU member, you’re eligible for a $5 discount at registration!